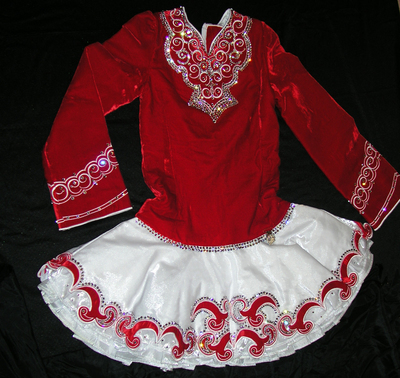 This dress was made in October 2010 for the Great Britain Championships and has only been worn on two occasions. 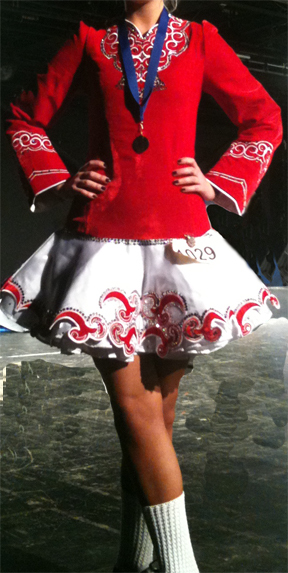 The bodice and sleeves are made in a beautifully bright red velvet and this is offset perfectly by the white skirt. The delightful design on the skirt is enhanced by the addition of hundreds of Swarovski crystals. 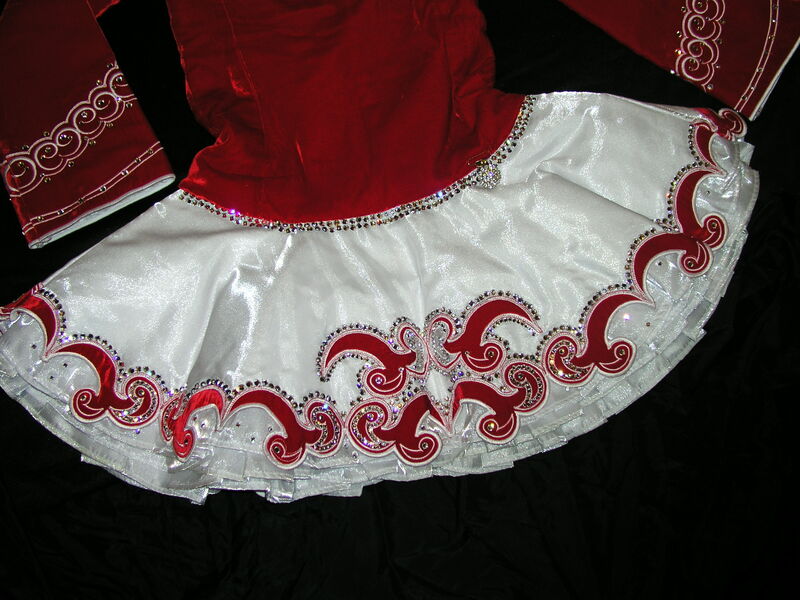 Crystals have also been added to the design on the bodice ensuring a truly eye-catching sparkle on and off stage. The dress comes with a brooch sewn on to hold the soft lace cape at the back, and a lovely crystal number clip. Red kick pants and red velvet headband, with crystals, included in the sale. 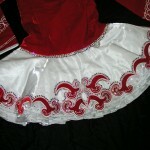 The dress is being sold as the dancer will not be taking part in competitions. The dress is â€˜as newâ€™ and in immaculate condition, but has been priced for a quick sale. There is plenty of let out in the bodice and let down at the dropped waist. At least two inches let out and let down. Asking Price: Â£700. Shipping costs are included for my own country, overseas shipping is extra. Sale is final.